Hemant Mehta is host of the blog, "Friendly Atheist," former Chair of the Secular Student Alliance Board of Directors, current Chair of the Foundation Beyond Belief and author of the book, "I Sold My Soul On Ebay: Viewing Faith through an Atheist's Eyes." He is also an educator. 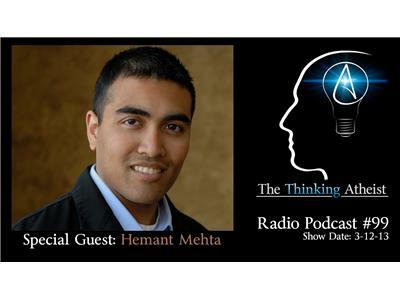 Hemant joins us to talk about his blog, his perspectives on the most effective ways to draw attention to church/state issues, and on the importance of students in the fight against superstitious thinking.